Historical Myth: Recontextualizing Antoine Fuqua’s KING ARTHUR | Birth.Movies.Death. Right from its opening text, Antoine Fuqua’s King Arthur seeks to abandon the notion that this interpretation is rooted in the classical legend, instead opting for, as the film suggests, “recently discovered archeological evidence…” This approach brings the film closer to something akin to historical fiction placing King Arthur and his Knights of the Round Table at the very end of a long journey to acquire freedom from Rome. The film, which was released in 2004 right after a renewed interest in the epic fantasy genre with The Lord of the Rings Trilogy, is a complete reinterpretation of the Arthurian legend, one that decides to ignore all previous material from classic sources like Sir Thomas Malory’s Le Morte d’Arthur or the Alliterative Morte Arthure. These two seminal texts shaped the King Arthur myth for a long time and established classic ideas (the Quest for the Holy Grail, the Lancelot/Guinevere Romance, Arthur’s relationship with Merlin, etc.) into the Arthurian canon while also incorporating elements of high fantasy. Fuqua’s approach is decidedly more different than say John Boorman’s in Excalibur, which is directly inspired by Malory’s take. It's not that surprising given that it was written by David Frazoni. In 2000, Franzoni along with writers John Logan and William Nicholson and director Ridley Scott helped bring back the sword and sandal genre with Gladiator. 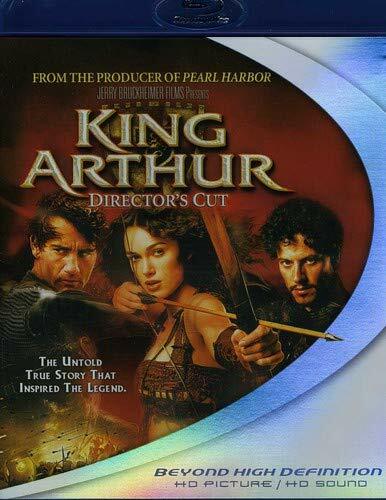 Not only is the Roman Empire’s presence in both, but King Arthur’s more realistic take is directly inspired by Scott's film. Instead of incorporating the more fantastical elements, Fuqua strips away everything tying the Arthurian legend to any type of supernatural element. The decision could be one reason why responses to Fuqua’s film were less than enthusiastic, with some critics calling it “Gladiator lite” or “profoundly stupid”. However, disassociating oneself from previously established canon and looking at it as a bold reinterpretation of the Arthurian legend, Fuqua’s film is not without merit and manages to work within a fascinating realm of historical fiction that aspires to be something more than a sword and sandal epic. Fuqua’s film is chiefly preoccupied with Arthur’s identity. In this version Arthur and his Knights serve under the might of the Roman Empire doing Rome’s bidding in order to achieve one thing, their freedom. With their rescue of Bishop Germanius, the Knights are free, but the Bishop changes things when he orders one last quest for Arthur and his Knights: rescue the Pope’s favorite godchild, Alecto. It’s a symbolic quest for Arthur as it offers a chance to show his absolute devotion to Rome and its future. This extends not only to his physical appearance (he wears Roman armor throughout the film) but also his philosophy. Arthur remembers the teachings of Pelagius, a philosopher who taught him his principles on free will and freedom, only to discover that those man’s teachings have made him an enemy to Rome’s most powerful citizens including Bishop Germanius. This idealization of Rome is very reminiscent of the teachings of Marcus Aurelius upon Maximus in Scott’s Gladiator which portrays Rome as a longing “dream” capable of creating hope and unity. For Arthur it symbolizes the “Camelot” model of a place that is able to create perfect stability for the ruler and the people under him. What is compelling, from a character standpoint, is that those hopes of seeing that “ideal” Rome change throughout the film and ultimately test his faith again and again during the last quest. Faith is an important element in Medieval romance, but one of the best characteristics that King Arthur decides to explore is the conflict between Paganism and Christianity. It might not be a particularly incisive exploration of the two beliefs, but the film tackles the conflict in a way that actually informs the character of Arthur and his Knights. For instance, Arthur the only Christian among them while the rest are Pagans. Instead of instructing them to convert to the Christian faith, Arthur lets them retain their Pagan beliefs thus reinforcing the teachings of Pelagius and his “Camelot” ideal. The religious themes are further developed in the film’s reinterpretation of Merlin and his group of Woads (including this version of Guinevere). The Merlin of old is nowhere to be found in this rendition; instead this Merlin (played magnificently by a pre-Game of Thrones Stephen Dillane) encourages Arthur to accept his true heritage and reminds him of his identity as a Briton. Arthur, in love with the idea of Roman culture and its beliefs, finds himself at odds with accepting his cultural significance as British. The meeting with Merlin is thus a great blend of the mythical and the realistic. This entire sequence, which is beautifully shot with misty conditions and a chilly atmosphere, not only encapsulates one of the tropes of Medieval romance stories but also reinterprets the Excalibur myth in an interesting way. Gone is the classic Sword in the Stone interpretation, replaced by a rendition of Arthur lifting his father’s sword from his grave during an attack by Merlin and his Woads (it actually feels very much like a scene right out of Conan the Barbarian). As Merlin tells Arthur “It was love of your mother that freed the sword, not hatred of me”, the moment effectively echoes the idea that the land has a mystical-like quality to it which adds a tinge of the supernatural (something that is very much present in Medieval romances). The fact that Excalibur is a distinctly British weapon further complicates Arthur’s dilemma about his identity and conflict with belonging to two different cultures. We’ve always seen Arthur as a distinctly British character, so to have this reinterpretation explore issues of nationhood and identity is a great new angle. Many major themes of Medieval romance revolve around co-existence between two different groups (something like Sir Gawain and the Green Knight definitely advocates this) and even the last scene of the film, with Arthur marrying Guinevere, reflects that. Merlin’s words “Our people are one. As you are,” illustrate that victory of a union between Paganism and Christianity. It’s a theme that recurs throughout Arthurian legend, and while not depicted in the more traditional manner, it’s certainly one of the big concerns Fuqua and Franzoni wrestle with here. It’s easy to see why King Arthur received a polarizing response upon release. 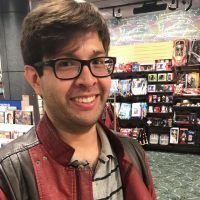 The “historical” approach takes away some of the previously established enchantment, some of the character arcs get the short end of the stick, and its plot is relatively simple. However, there’s a lot that Fuqua and Frazoni get away with that makes this rendition a fascinating entry in the genre. The cast, led by Clive Owen, including the Knights (Ray Stevenson, Joel Edgerton, Mads Mikkelsen, Ray Winstone, Ioan Gruffudd and Hugh Dancy) is phenomenal. Keira Knightley’s Guinevere is certainly among the most striking performances in the film and one that incorporates a lot of ferocity into that character, while Stellan Skarsgard is chilling as King Cerdic, the leader of the Saxons. It also doesn’t hurt that the film is beautifully shot in murky blues and cold-like colors by Slawomir Idziak or that Hans Zimmer's score is delightfully bombastic and appropriately grand in scope. Fuqua’s film is not perfect and it’s certainly not in the same level as something like Excalibur, but the way that he and Franzoni approach the legend is rather original and ambitious. For its recontextualization of the Arthurian myth, King Arthur definitely deserves another look as something that aspires to introduce a centuries-old tale in a fresh and audacious manner.